Use the shipper database to grow your business and operate at capacity. Find loads for trucks quickly and easily. Obtain a motor carrier or broker authority. Basic Account at just $14.95 per month. This includes a free 7 day trial / demo for those who want to test out the system before committing to a monthly fee. Premium Account at just $24.95 per month or $100 for a one year subscription. This also includes a free 7 day trial / demo for those who want to test out the system before committing to a monthly fee. 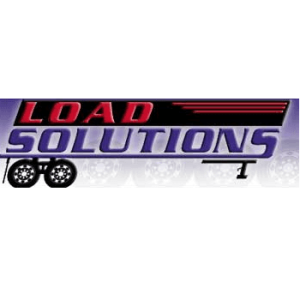 How Load Solutions compares with Free Freight Search? Any freight business can truly benefit from the FreeFreightSearch.com load board. Free Freight Search is the world’s largest free load board and connects thousands of freight brokers, shippers and motor carriers. Registered motor carriers can easily match trucks with loads and enjoy fuel advances and payment upfront from Platinum Freight Brokers. Brokers can reach a unique universe of motor carriers often missing from paid subscription sites. Since its inception, FreeFreightSearch.com has acquired over 50,000 members and posted over 75 million available loads. FreeFreightSearch.com is one of the easiest and most convenient free truck load boards to use and is fully integrated with one of North America’s leading freight bill factoring companies. Post and search through thousands of available trucks and loads. Access a demo version of the site to see how easy the system is to use. Get your motor carrier authority. Load, update, repost or delete posts conveniently. Receive email alerts on trucks or loads that meet your criteria. Register with FreeFreightSearch.com today and take advantage of the wealth of benefits that this load board has to offer. Also visit our FAQ section or get in touch with us for further support and assistance today.